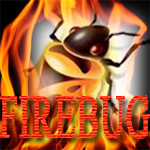 You can use Firebug generate logs. This is a great way to finding errors in a page. Execute the following code in Firefox. The above code is intended to output "w3resource". But it shows "w3" only. So let's uncomment the line console.log("%s%d", "w3", resource); and run Firebug.